As fall approaches, I’m always looking for new ways to bring a bit of spooky fun into the house. 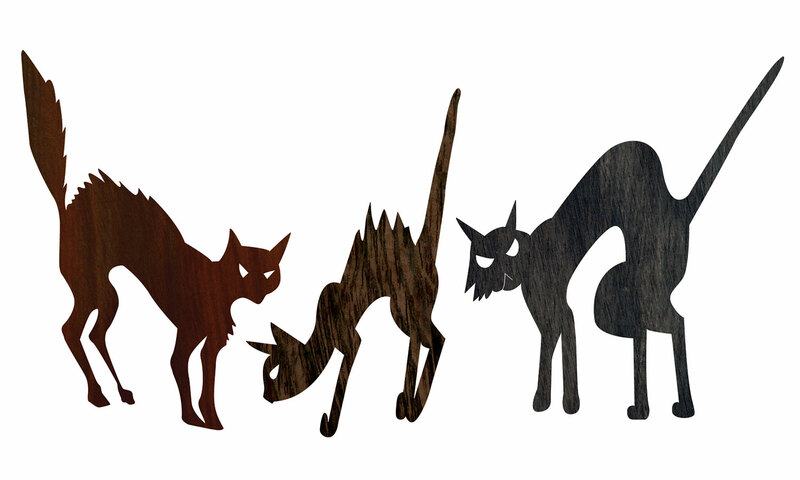 These wonderful silhouette designs are a perfect accent to your holiday decor. The center of the piece slides back, and the frame locks into place to give the plaque added interest and dimension. 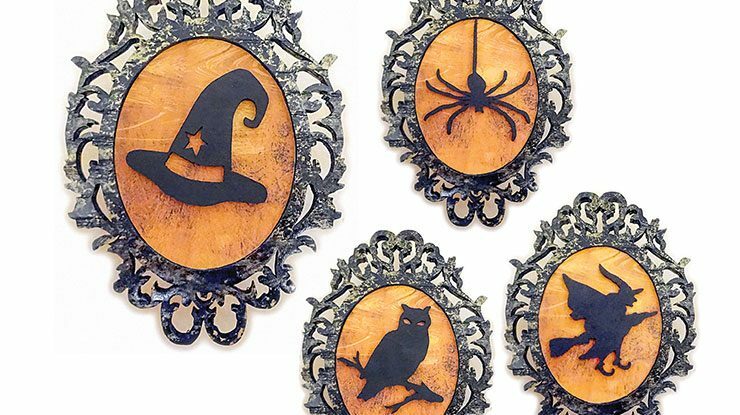 If you reduce the size, these patterns make perfect ornaments for a Halloween tree. Retailers are reporting record sales of these trees, and a search of Pinterest brings up pages of examples. 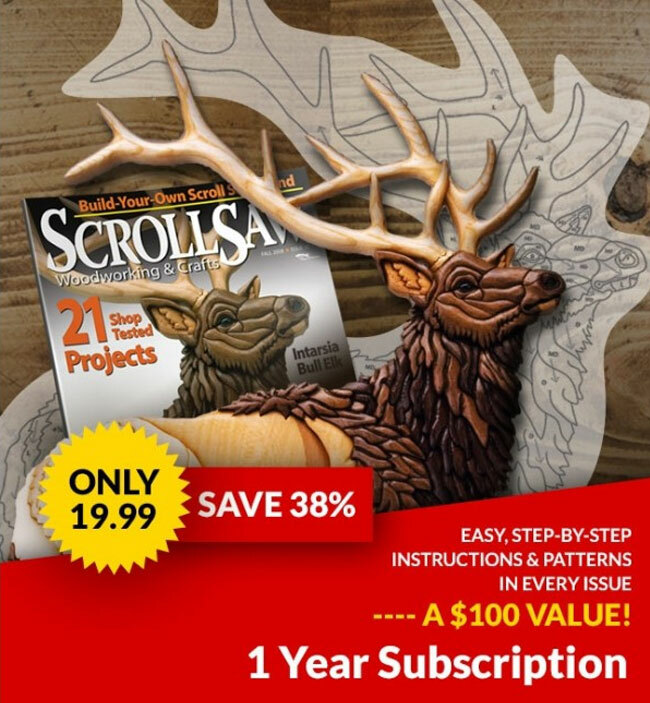 Make this project your own, and have fun! 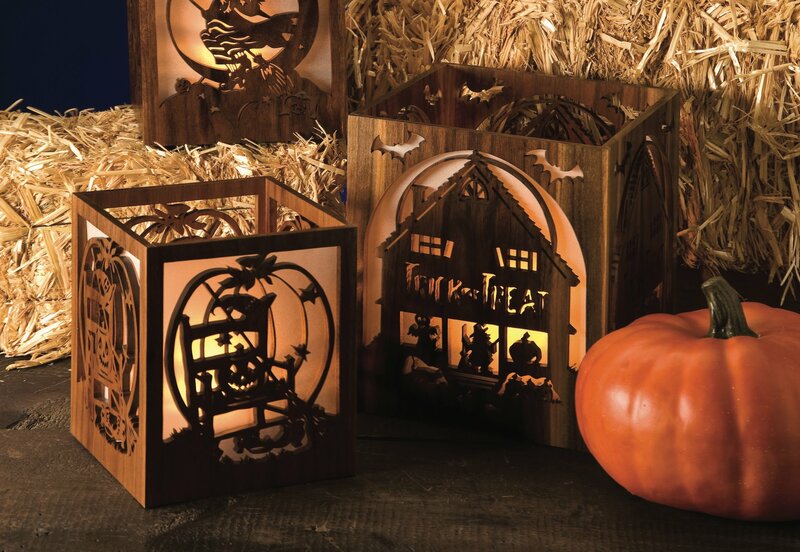 Find the full Halloween Plaques project in Scroll Saw Woodworking and Crafts, Issue #72 (Fall 2018). Download the bonus patterns below. 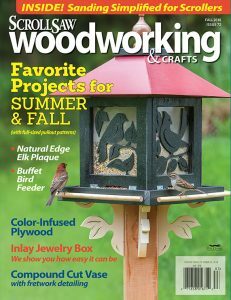 Sheila Bergner-Landry grew up in the Chicago area and began her woodworking and painting career when her daughter Danielle was born, more than 20 years ago. 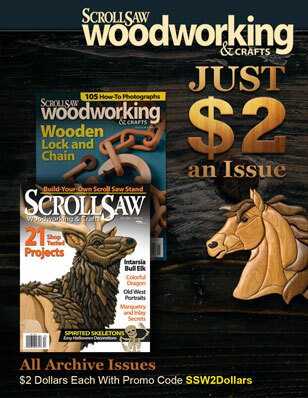 A friend, Cari Denison, introduced her to scroll sawing. Sheila relocated to Nova Scotia, Canada, where she has found new inspiration for designs. For more of her patterns, call 902-482-7174 or visit sheilalandrydesigns.com.